The 3.5 Tonne dropside is great for moving pretty much anything. With a pay load of around 1250kg and a load length of over 4 metres, this truck is great for moving tiles, bricks, scaffolding or longer materials for the building trade. This vehicle also has a tow bar fitted. 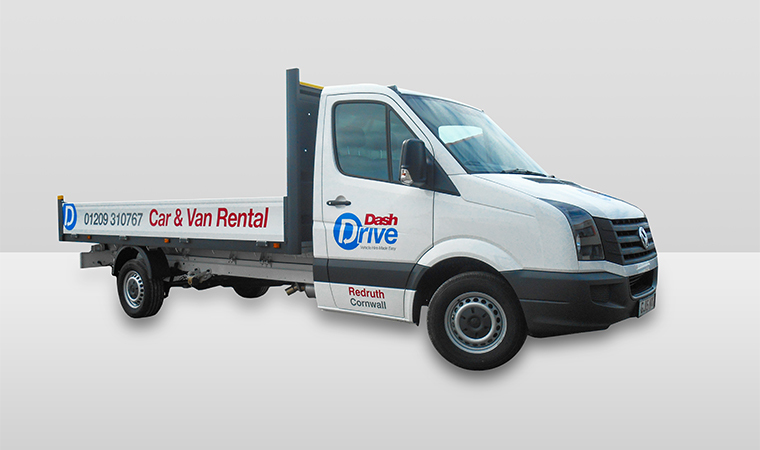 Please be aware that permission to tow with this vehicle must be obtained by Dash Drive in writing.